Why work in real estate? Aside from representing some of the best real estate properties in Arizona, you also get to help families find their dream home. Being a licensed agent means mastering the many laws that cover buying and selling real estate. The good news is that aspiring real estate professionals can take the required classes online. There are many accredited schools that offer the coursework but expect to complete about 90 classroom hours on topics like real estate principles, statutes, broker policies, supervision, and contracts. This step is required to verify your identity and must be completed before you can apply for an agent’s license. First, go to the Fieldprint website to schedule an appointment at the nearest location. On the appointed day, pay the application fee, have your fingerprints recorded, and submit your background check requirements. Your clearance will be delivered by mail in 4-6 weeks. You’ll be taking not one but two exams. The first one is a pre-licensure exam given by your chosen school, and passing it signifies that you’ve met all the educational requirements. The second one is the actual licensure exam. The Arizona Department of Real Estate’s accredited testing partner is Pearson VUE, so head over to their website and book an exam at least 24 hours before your desired testing date. Contracts are a major part of real estate transactions and Arizona requires you to complete a six-hour contract writing course after passing your school exam. Note that while this course can be taken at another educational center, many schools conveniently include it as part of their curriculum as well. The exam will be divided into two parts. The first one tests your knowledge of national real estate practices and requires that you answer 60 of 80 answers correctly to pass. The second covers Arizona-specific topics, and the passing rate is 45 out of 60 questions. If you don’t make the grade, you can retake the entire exam or just the sections you answered incorrectly. You can take the exam as many times as necessary, as long as you re-register and pay the corresponding test fee. Finally, you can file your license application at the Arizona Department of Real Estate. 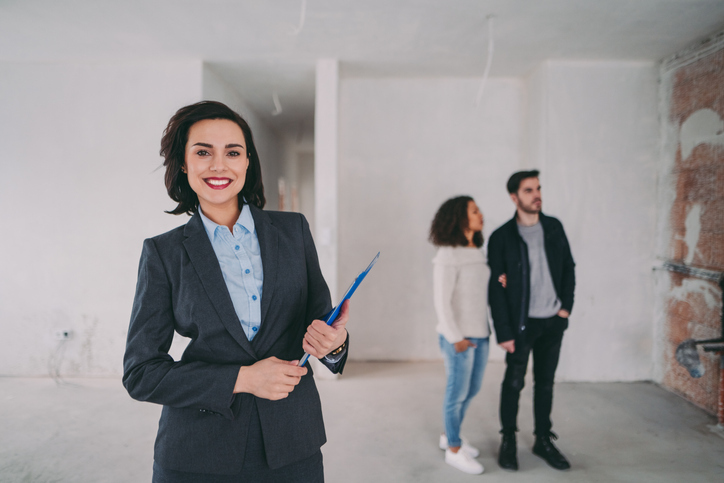 New real estate agents are required to select a broker who will hold their license before the application can be approved. If you’re looking to work for a top-performing real estate firm, we’re happy to announce that Urban Luxe Real Estate has exciting career opportunities for you. We’ve designed a 16-week training course where you’ll work closely with our top agents, making Urban Luxe Real Estate the perfect launching pad for your real estate career. To know more about this program, give us a call at 480.359.6519 or email info(at)urbanluxere(dotted)com.